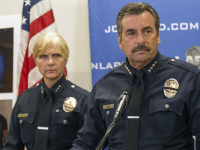 Los Angeles Police Chief Charlie Beck said Monday that the LAPD will not change its stance on deporting illegal immigrants, despite President-elect Donald Trump’s position on the matter. 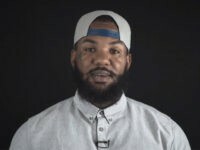 California rapper The Game continued his “mission” to “spread positivity” by recording a short video with LAPD Police Chief Charlie Beck pleading for an end to all shootings in Los Angeles. 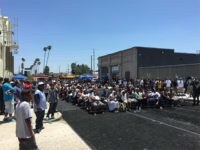 California-based rapper The Game invited representatives from street gangs and law enforcement to a town hall-style anti-violence meeting in Los Angeles on Sunday. 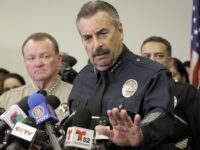 LAPD Chief Charlie Beck is defending Los Angeles Unified School District (LAUSD) Superintendent Ramon Cortines’s decision to close the district’s schools on Tuesday because of an emailed threat. 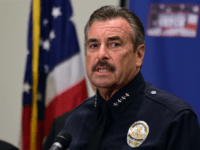 Los Angeles police union leaders excoriated LAPD Chief Charlie Beck on Thursday for his announcement that the department would offer a “Preservation of Life” award to officers who hold their fire in order to avoid using deadly force. A short video posted to social media this week of what appeared to be a gunman stalking an LAPD patrol car has frightened the department and led to at least one arrest. 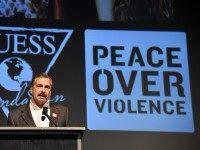 Los Angeles Police Department Chief Charlie Beck is in hot water with police unions after commenting on the police shooting of an unarmed homeless man in Venice Tuesday evening. 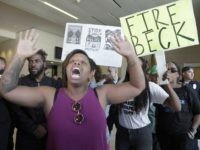 Beck said, “Any time an unarmed person is shot by a Los Angeles police officer, it takes extraordinary circumstances to justify that. 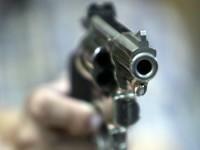 I have not seen those extraordinary circumstances,” according to the Los Angeles Times. 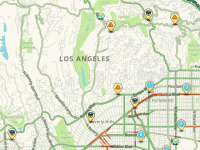 The Los Angeles Police Department (LAPD) has raised serious concerns over the use of the real-time traffic and tracking application Waze, saying it jeopardizes the lives of police officers by revealing their locations. In a legal victory for hundreds of thousands of unlicensed immigrant drivers in Los Angeles, a state court ruled that the Los Angeles Police Department’s “Special Order 7” policy, which prevents law enforcement from impounding the vehicles of unlicensed drivers for 30 days, is legal and can be implemented.